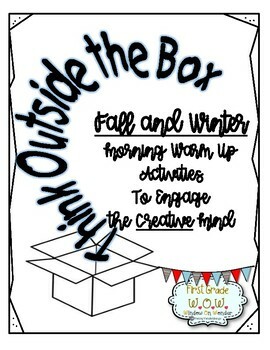 This little unit includes 10 different fall and winter themed "Think Outside The Box" pages. 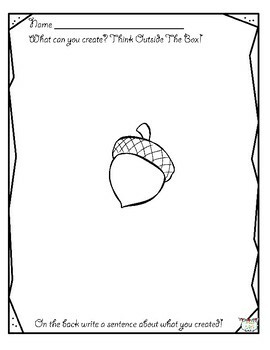 You can simply print the ones you want, copy for students and ask kids to create something out of the shape on the page. Can they create something no one else will think of? 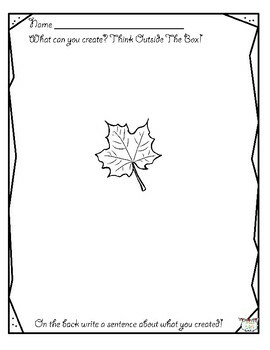 Kids can turn their paper in any direction. 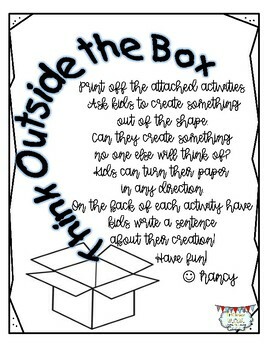 On the back of each activity have kids write a sentence about their creation! Stretch those CREATIVE MINDS! !